The College's address is: 106 Central St., Wellesley, MA, 02481. That's at the intersection of Route 16 and Route 135. Take the Massachusetts Turnpike (I-90) West to Exit 15 (Weston/I-95/Route 128). Travel south 2 miles on I-95/ Route 128 to Exit 20B (Framingham/Worcester/ Route 9 West). Drive west on Route 9 for 3.9 miles. Turn right at the green Weston Road/Weston sign. At the end of the ramp, turn left onto Weston Road. Drive 1 mile to the traffic light at the intersection of Route 135. Turn right onto 135 West and drive one-half mile to the first traffic light, which will be at the main entrance of the College (College Road). Turn left onto College Road. Anyone who would like to ride the Senate Bus, which provides transportation directly from Boston to Wellesley campus must have a bus token or ticket. This may be purchased at two locations in Boston: 1.) The Marlboro Market, located at 45 Massachusetts Ave, Boston, MA 02115. This is also conveniently located a block away from the Commonwealth Ave/Massachusetts Ave. bus stop. or 2.) The Out of Town Newsstand, located in the center of Harvard Square. This is also conveniently located right by the Harvard Square stop. 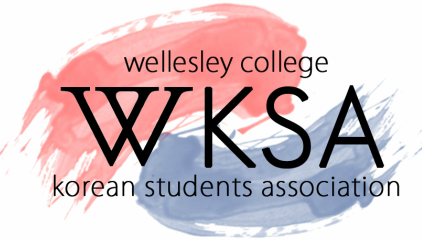 For more information, please visit http://www.wellesley.edu/Transportation/. Check "MIT EXCHANGE BUS" for the weekday schedule (M-TH) or for any bus going to Wellesley before 6PM on Fridays. Check "SENATE BUS" for the weekend schedule. For the Commuter Rail: take the Framingham/Worcester Commuter Rail to the Wellesley Square stop. The commute is approximately half an hour. One-way fare is $5.25. Go up the stairs and turn left onto Crest Road; follow Crest a short distance. Take a right onto Central Street. Walk five minutes to the second set of lights. Cross the street to the entrance of the College. From there, allow twenty minutes to walk to your destination on campus. For the MBTA Subway: Take the Green Line and ride an Outbound subway marked "RIVERSIDE-D" to the last stop (fare is $2). From there, take a taxi to Wellesley College ($16-20). Warning - Don't take the Commuter Rail or the Subway unless you really really want to come to see us (which should be always). Remember: we warned you. This should be your last resort.